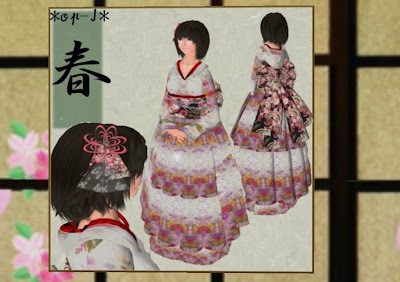 An adorable little kimono shop (you may remember it from past posts) *-OP-*/*OP-J* has updated their item camp with a new kimono. ^^ Just camp for 35 mins to get this lovely piece! In other news I updated my av, be scared. XD Happy Camping Crew! Click here to Teleport to *-OP-*/*OP-J*!